Awkward Kitchen Space Made Awesome! To say the pictures do not do this project justice is an understatement. Sometimes a space puts out a feeling that can’t quite be captured in a photograph. This remodeled kitchen in Colona, IL is so bright and cheerful I wanted to stay all day and chat with the owner. According to the owner, it was a dream kitchen 17 years in the making. While we might have only been involved in the last few months of that process, it was easy to tell how happy the homeowner was now that it had come to life. The main kitchen design did not change drastically. Wall ovens were removed and a freestanding Whirlpool range was brought in with a Microwave Hood above it. In the original kitchen, a blank wall sat opposite the space with a small dining table in front of it. A short knee-wall capped the end as you exited into the Dining Room. The new kitchen design uses this awkward space to its fullest potential adding storage and a whole lot of impact! By creating a dine-in area that branches off from the wall, seating is added with access to added storage below. The knee-wall was removed and now the total kitchen has almost doubled in size (and storage). With the rest of the social spaces nearby, now the kitchen has become integrated into this total open area. Traffic entering from the Living and Dining Rooms is no longer blocked by wall and a clear path to the Laundry Room is available. Building in a flat-screen television to the new design creates a customized look and also allows more counter space below where a television may have otherwise been placed. the birdseye view below shows a rendering of the space. It must be said that even though this beautiful kitchen is bright, the under-cabinet lighting truly brings it warmth. Day and night tasks will be made easier with this added element. Not to mention it takes an already beautiful space and gives it that “magazine” look! Contact us today to bring YOUR dream kitchen to life! Remodeling a kitchen is a process. During that process you will need a temporary kitchen to prep and clean in. How can you keep the essentials handy for your day-to-day life? You set up a temporary kitchen! This can be located in a dining room, living room or even a corner of the kitchen itself. 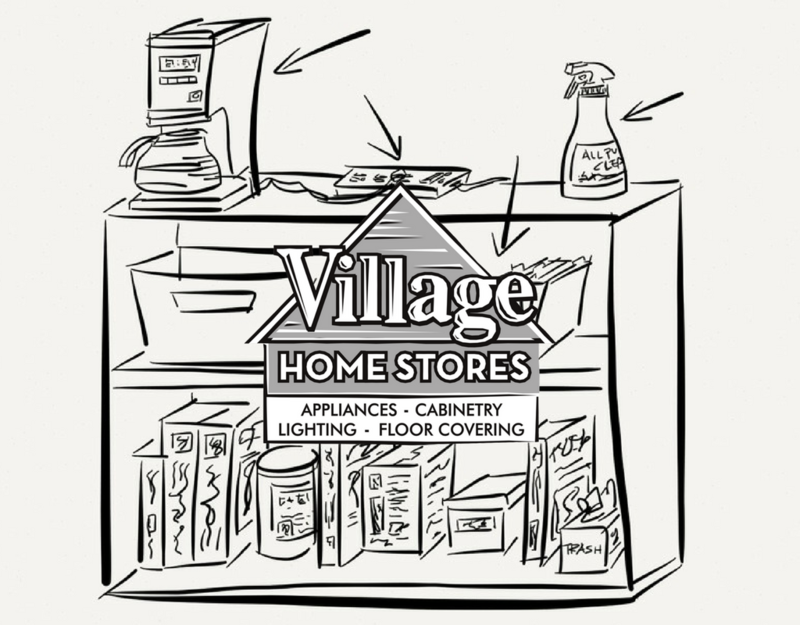 Village Home Stores suggests these 15 must-have items for your temporary kitchen during a remodel. Print off your own checklist of these items here. 1. Decide what small appliances best fit the lifestyle of your family. 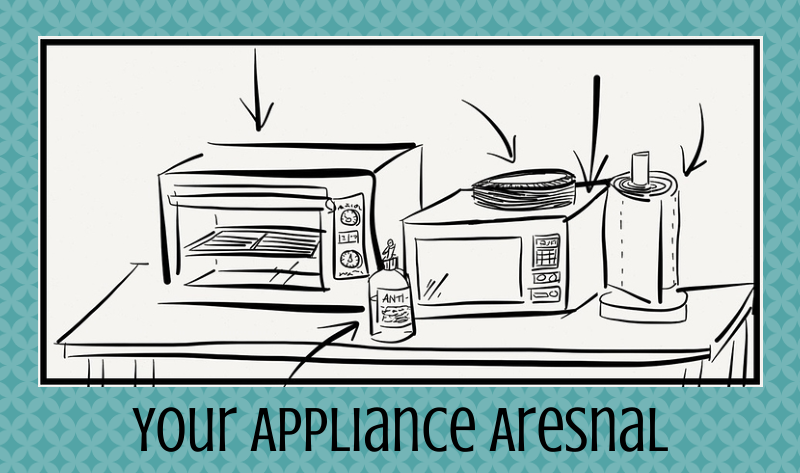 Choose appliances that can be used for multiple tasks. A toaster oven may become your new favorite small appliance. Many are available with convection features and interior capacities that will make it possible to prepare many different meals. Take note that these ovens can get very hot in the areas surrounding them. Keep the space clear and avoid stacking items on top. Crock pots, rice-cookers, and countertop grills can each be used and stored off-site in another room. You can still prepare meals at home without eating out every day. Follow our Pinterest board of recipes to enjoy during your remodel. 2. No immediate access to water? Keep a bottle of anti-bacterial gel accessible for you and the crew. Stop germs from spreading without needing running water. 3. While they can be very wasteful to use regularly, using “disposable” products during your remodel can be a great way to keep dirty dishes from piling up. When cleared off properly, many can even be recycled. Plastic utensils and cups can even be washed and reused. Just be aware that certain plastics should not be heated up to high heats and reused for food service. 4. Keep a roll of paper towels handy. Some snacks and meals can even be prepped and served on a paper towel (no judgement from us if we catch you eating a slice of pizza off of a paper towel). Be excited to know that in just a few weeks you will be cooking a gourmet meal in your brand new kitchen. 5. For quick meal prep, reheating leftovers, and even warming up coffee, a microwave really is a necessity. If you do not have a portable model microwave, consider borrowing one or purchasing an inexpensive one that can later be sent with a child to college or moved to a basement bar or “man Cave” area. 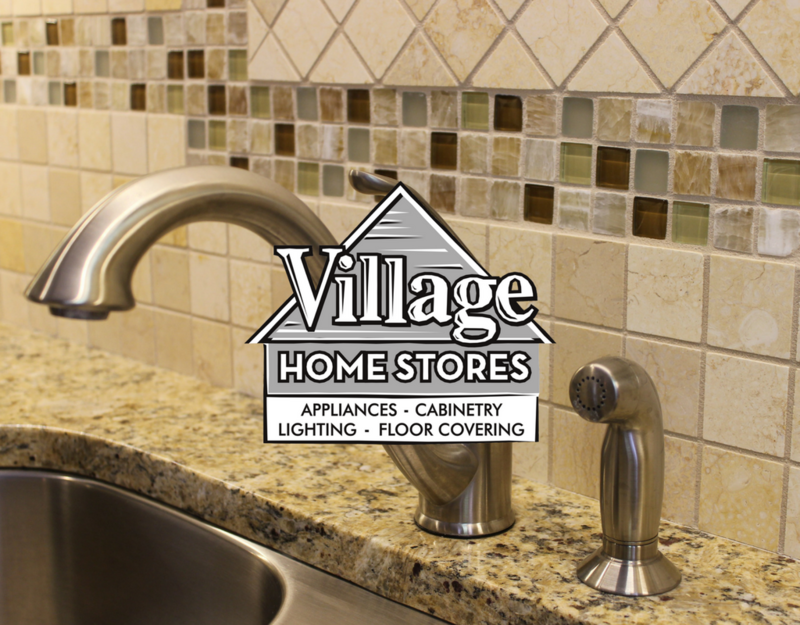 Village Home Stores keeps many countertop model microwaves in stock so ask your design team about our options. Life goes on in your home no matter what state the kitchen is in. Busy families, single adults, and empty-nesters all create dirty dishes. When they do start to pile up we recommend to set up a dish-washing station. 6. Not having a running kitchen sink and faucet is probably one of the largest inconveniences during a remodel. Find a large plastic tub that will act as your sink during this time. If you do not have another running sink nearby, make sure your tub fits nicely in the closest bathtub you have. If you are preparing a meal at home, we suggest filling this tub with warm, soapy water and adding dirty dishes as they are used. This gives them time to soak as you prep the meal and will mean less time scrubbing in the bathtub later on. 7. Of course you will need a bottle of dish detergent. Keep it nearby whatever water source you are using. 8. Set up an area for drying clean items. Find a drying mat or rack that does not take up too much space and fits the dishes you do plan on using often. 9. Using a dish scrubbing brush that also dispenses detergent can eliminate the need for a sponge at all in your dish-washing station. 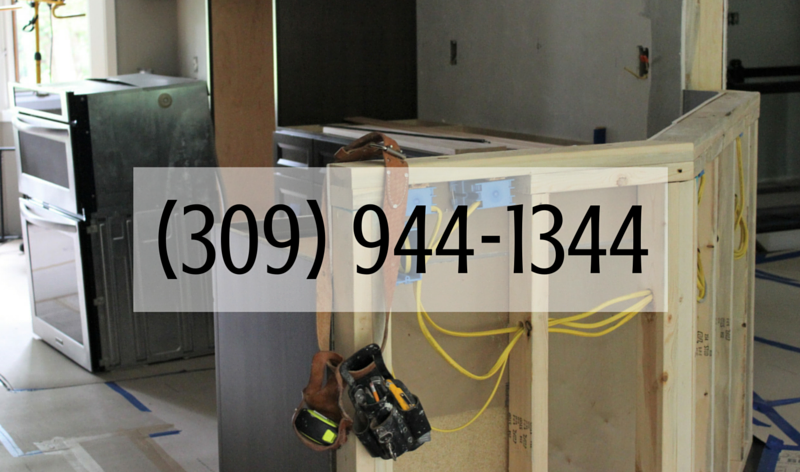 We have seen many temporary kitchens set up throughout the many years we have been remodeling kitchens. Some of the most innovative locations we have seen use existing furniture or spaces already accessible near the kitchen. Do you already have a buffet or built-in bookcase? Consider these spaces first before unfolding a large camping table for your temporary kitchen. If you find an existing space you may only need a small cart in addition to that. Always seek out a location that is outside of any masked off areas from the jobsite. 10. Establish a command center for your family and even the crews. Keep a notebook and writing utensils available for notes and lists. Project information should also be in this location. 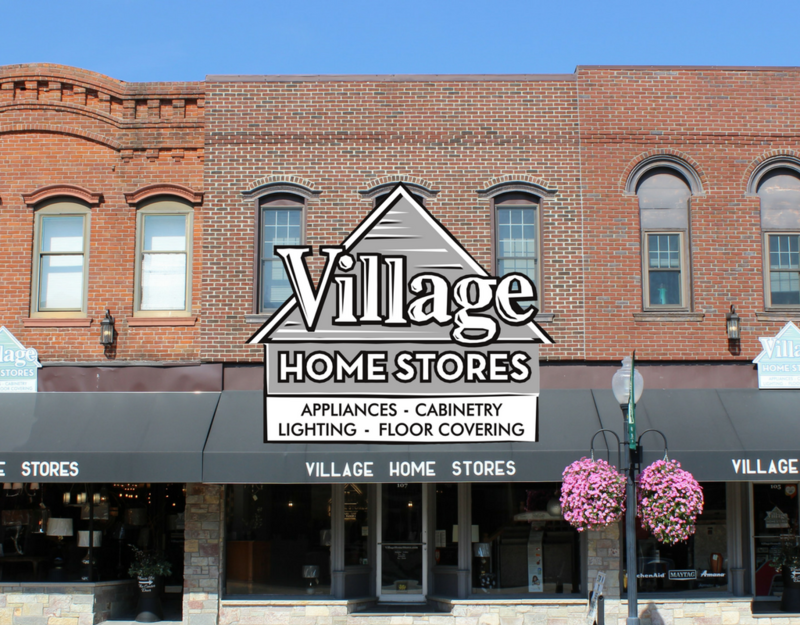 Village Home Stores will give you a project binder with schedules, specs and up to date plans to be kept on-site. If you have a busy household, create an “Action File” for papers and piles to stay organized. This is a great addition to your temporary kitchen command center and may even find its way into your permanent one. Here you can keep bills, incoming mail, school papers, schedules, and paperwork that may normally end up piled on a kitchen counter. 11. Borrow a shelf or two. Relocating a few boxes of books or movies can clear off enough shelf space for pantry items and even some small appliances. If you have set up a folding table, large tubs or bins below can be used for pantry storage. Always have trash bags and lunch packing items handy by the pantry area as well. 12. A coffeepot is absolutely a must-have item for most customers. Just remember this part of your temporary kitchen does not need to be near the rest. Reduce clutter and free up counter space by setting up your coffeemaker in the master bathroom or even a home office. 13. Find an all-purpose cleaner in a spray bottle that you can keep on hand. This can be used to clean work surfaces and even appliances as they may get dusty during the remodeling process. All-purpose cleaning wipes can be fantastic as well for quick clean up. 14. Running water and a clear work surface are as desirable as available outlets in your temporary kitchen. By using a power strip for your small appliances you can gain surge protection and access extra receptacles for charging devices. 15.The most important item of course is patience. Being torn up for a short period of time is always worth it once you can enjoy your new finished kitchen space. Patience truly is a “Must-Have Item” when remodeling. Just remember that the project is only temporary. Soon you will have a new space to enjoy. We are so excited to launch our new blog for VillageHomeStores.com This is where we will be sharing our latest projects, tips, and trends. Let’s face it, the internet is a pretty big place. 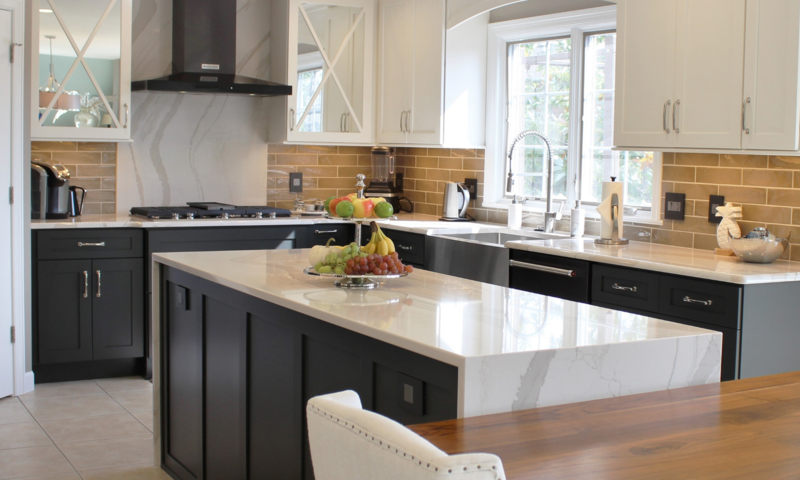 We want this blog to be an extension of the stories we are telling and the projects we are working on so you can have a realistic and helpful source for everything going on in the world of kitchens, bathrooms, laundry and other spaces in your home. Feel free to contact us or call 309 944 1344 with any questions about what you see here. We have projects from all over the extended Quad Cities region to our hometown of Geneseo, IL and we love to share those ideas with you. Contact us to learn more about our process. Your first step is to reach out to our team!